Time has come again for you to experience some authentic luxury in traveling. ULC’s Hidden Hills limousine rental service offers you a vast fleet of limousines to choose your favorite model in accordance with your requirement. We have updated our fleet with a new set of limo rentals in Hidden Hills to meet every expectation of our customer. "Hi Brandon, I just wanted to let you know, that Saturday worked out great,limo was on time, Matt was very flexible, nice and professional, the kids had a wonderful memorable evening.I was especially impressed with your request to have the kids sign the statement about alcohol and matt confirmed with me the itinerary so no one could change the route.Thank your very much; I will certainly keep your number for future reference and referrals.Look forward to working with you again,"
The fleet includes Mercedes E-Class Mercedes S-Class long sedans, Lincoln and Cadillac stretch limos, Hummer and SUV limos, party buses, and more. You name the occasion be it birthday parties, weddings, anniversaries, concerts, business chauffeuring, bachelor/bachelorette parties, corporate travel, airport transportation, school events, proms, sightseeing tours, or any other special occasion. 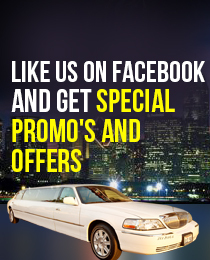 We have a limousine rental for you. Our limousine rental service in Hidden Hills are available 24 hours, 365 days a year, and we strongly focus on uncompromising quality in service. The impeccable vehicles and trained, certified and professional chauffeurs make our limo service in Hidden Hills a class apart from the rest. ULC limousine rental service in Hidden Hills, which is backed by highly professional management, encompasses all aspects of deep satisfaction for customers. Our limos in Hidden Hills are chauffeured by drivers trained to satisfy our customers in every way possible. The chauffeur of our limousine in Hidden Hills can be multilingual on request. We have a separate crew of chauffeurs, especially for the Russian-American community in Hidden Hills. Our limo rental in Hidden Hills charges are highly affordable. Once hired, our limo in Hidden Hills will reach the pick-up spot well in time. Every limo in Hidden Hills attracts attention of those around and promises our clients a feeling of luxury. Which Hidden hills Limo is Right For You?